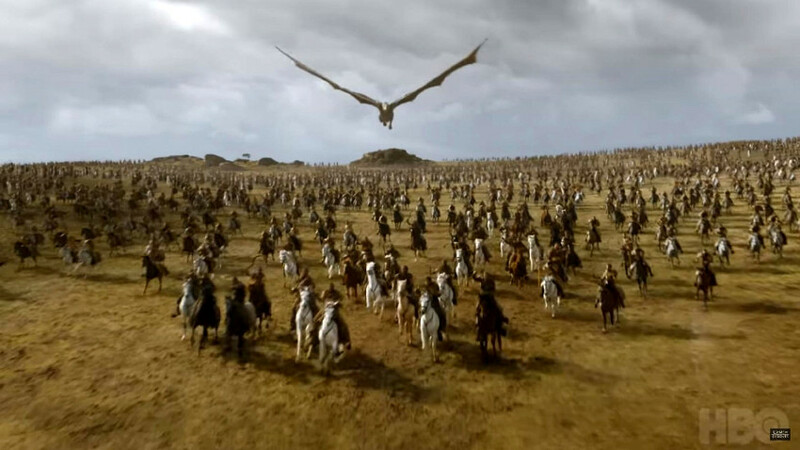 We recently sat down with Adam Chazen, VFX Associate Producer for HBO’s Game of Thrones to talk about how season 7 came together. 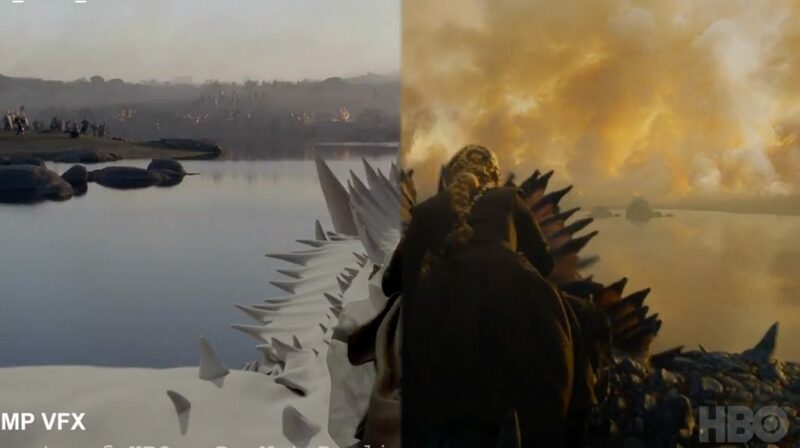 How did your approach to VFX in season seven differ from season six? We always build on the prior season, but generally the ways we do things are the same. We try to shoot as much in camera as possible, then we augment on top of that. The workload definitely gets larger. Between seasons 6 and 7, we went from 10 episodes to 7 episodes, but we had much bigger battles. Worlds were finally clashing, so there was lots more collaboration between various visual effects studios. The work was more challenging in that regard. 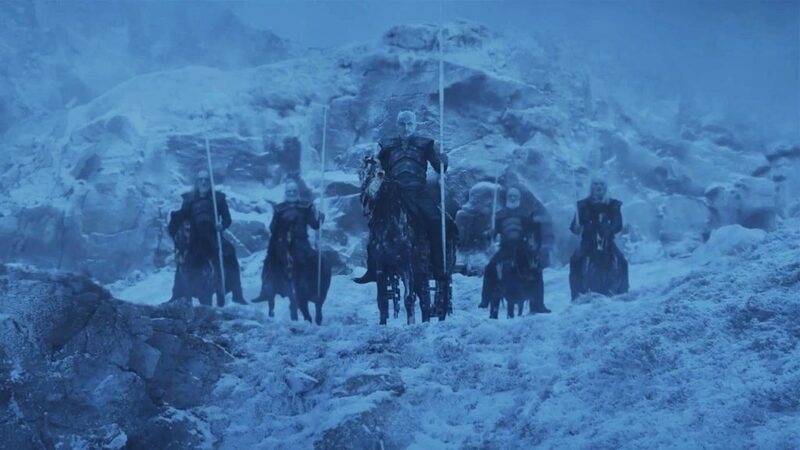 What was interesting in season 7 was that we were shooting two huge battles – the Battle of the Goldroad (also known as the loot train sequence) and the frozen lake battle – at the same time. Loot train was in Spain, while we were over in Northern Ireland conjuring up a vision of the war beyond the wall. That was a certainly a challenge in itself: being stretched thin, trying to stay on top of it all and making sure we met the needs of each set. cineSync was incredibly useful here when it came to reviewing the shots and passing them between everyone involved, no matter the international distance. cineSync is an easy setup and there’s no lag. We do go into all these sequences having a pretty good previs framework for each, so it gives us a good idea of what we’re doing, how we’re going to shoot it and what it will look like. cineSync helps us at the other end when we’re finessing and making things just right. How do you choose facilities and decide who gets the work? Is it just traditional bidding, or do you seek out certain vendor skills? It’s a mix of people we know and also newcomers. Certainly, we go by who we’ve used in the past and who we know can do great work. A lot of vendors want to work on this show because people love it, so we test out other vendors just to see what they’re capable of. 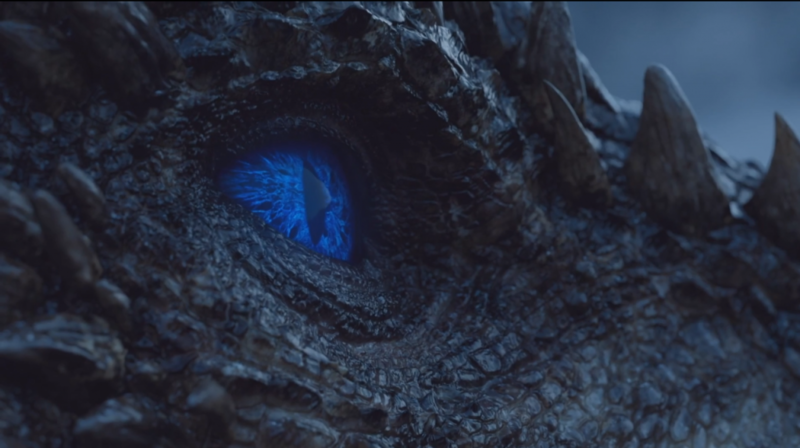 In season 7, the need for dragons is so much more, because they’ve gotten much larger and have more screen time than in the past. We tested different vendors to add on to our dragon team. Image Engine did a fantastic test for us, so we gave them the loot train battle scene. What was collaboration with the vendors like? cineSync helps massively every single year, because we work with facilities all around the world. We can certainly send notes out to people, but getting on the phone together and being able to view shots at the same time – being able to actually point to what we’re talking about – clarifies a lot. 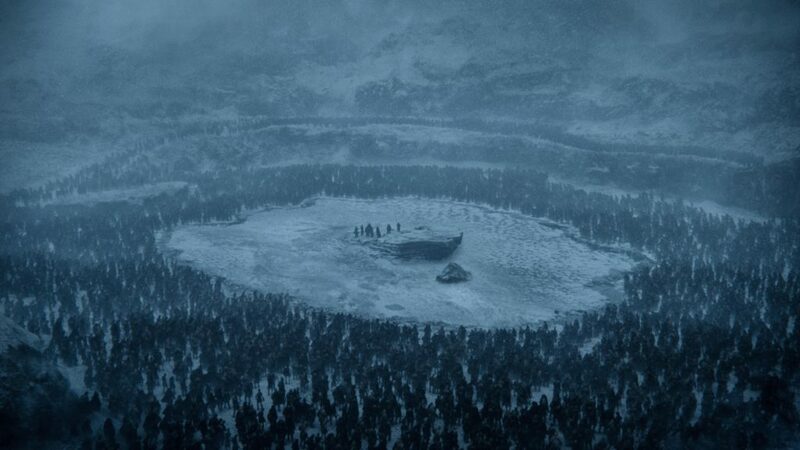 The last sequence of the series, taking place at Eastwatch required the most iterations. There were a lot of moving parts to it. We worked closely with the vendor, but they weren’t exactly next door to us, so we had to hop on cineSync as much as possible and talk through the notes. It ended up a being a great finale. Did you have any presence on set, to prepare different elements for postproduction? Personally, I’m more office-bound, but we have a whole team on set – supervisors, wranglers, riggers and a whole slew of people. I’m the home base coordinator. It’s a lot going on at once, but we’ve been doing it for many years now, with the same people, so we feel like a family. We know how to work with each other and we’re all in it together. It’s been nice in that regard, because we know exactly how everyone works, and can accommodate that. Did any particularly interesting or unique technical processes get used? 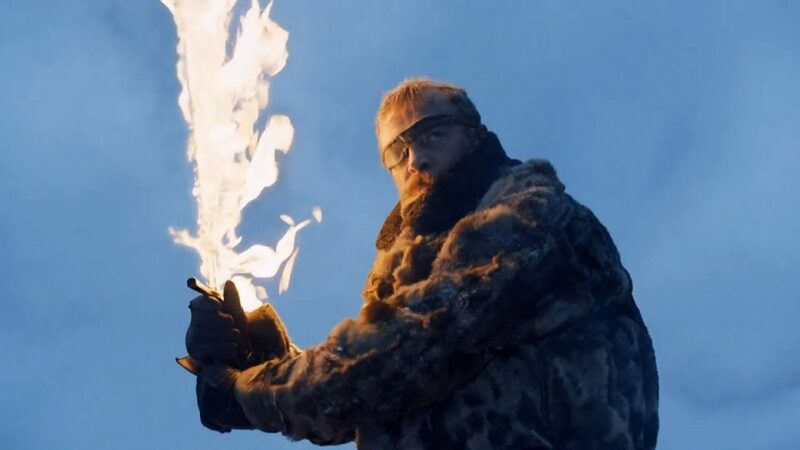 We used a flamethrower again this year to simulate the dragon fire, trying to keep everything in-camera as much as possible. This year, since the white dragon was blasting the wall, we had large wall set up in live action that the fire was blazing against. Also, in the past, we’ve generally had only one motion-controlled bucking mount (which actors sit on to simulate sitting on the dragons) because only one person’s been riding the dragon. 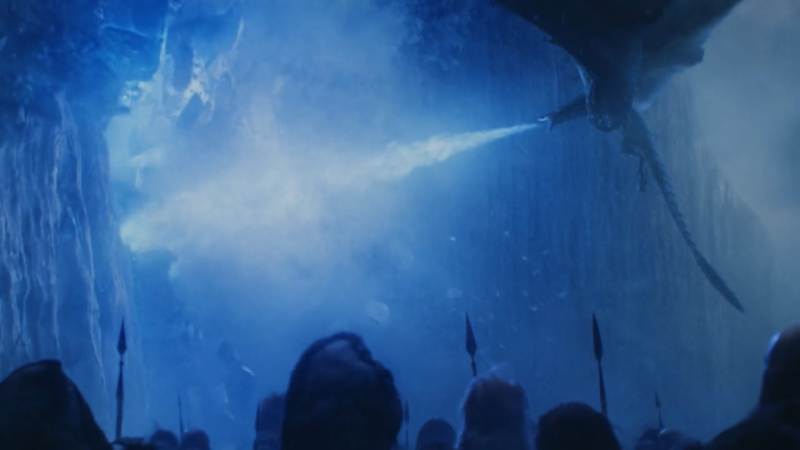 But in the frozen lake scene, we had seven or eight people on the dragon. We had three different bucks in use for that, which was more of a challenge! We actually had a four-point Spidercam setup, which gave us a lot more freedom to move the camera around. Kudos to our special effects team for giving us all these crazy ideas that we ask for! What software went into the post production? Our vendors generally use Maya, Nuke and 3DS Max. While in my world, on the supervisor end, we use RV Player and cineSync. The vendors send me DPX sets and that’s how I review it with our executives. It must be difficult to spot tiny visual nuances in large scale battles. How do you achieve consistency in post? It all starts with the previs. We throw the whole kitchen sink into it and consider what would be ideal to do. Then we whittle the previs down into what is actually feasible in terms of time and money constraints. Then we do tech videos and diagrams to show where cameras and crew need to be. We go into the sequence saying “this is what we’re going to shoot”. We’ve done comparisons between previs and the final product, and obviously a few things do differ, but it’s pretty close. We go in with the previs and know what plates we have to shoot to make it reality. 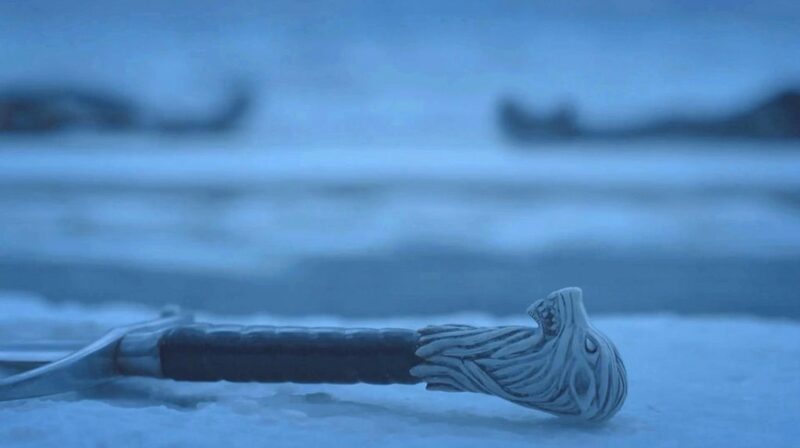 The hardest post production sequence was probably with frozen lake, because its effects had to be maintained throughout almost the whole episode. The sheer shot-tally was almost intimidating. Whereas on loot train this year, we had Cablecams, Spydercams, drones, etc – so a lot more hardware went into that scene. Was it a challenge to map out complex sequences like the frozen lake? We use a company called The Third Floor to handle previs. It’s not too much of a different direction in comparison prior years, because we had more team come in and work across the sequence. We hit it harder, because there’s more shots to do. More manpower to handle the workload. Generally, cineSync is used more on post, but we do use it sometimes during production if, for example, our DP or Director can’t be in the same room as us. We export out Quicktimes and jump on a session. For example, our director for frozen lake (Alan Taylor) was scouting in Iceland and we had a frozen lake sequence ready for review. We sent him a Quicktime in Iceland, while we were in Northern Ireland, and hopped on a cineSync session. Immediate feedback made that whole process a lot easier. What is it like facing huge expectations on a global level? You always try to top yourself every single year. Now, we’re on the last year – the last hoorah. You want to have a good send off and make it as spectacular as it possibly can be. A lot’s expected of you, since all the years prior people have loved it, and you don’t want to disappoint. Are you kept to a very strict deadline? Obviously we have a deadline for the vendors, for the DI and for HBO. cineSync would help because it expedites the note-giving process. If we have a cineSync session with the vendor we can save iterations, because it’s not just guesswork at that point. We point and circle and type on screen – the whole shebang. I always like to play a good game of tic-tac-toe while waiting for other people to enter the session though! 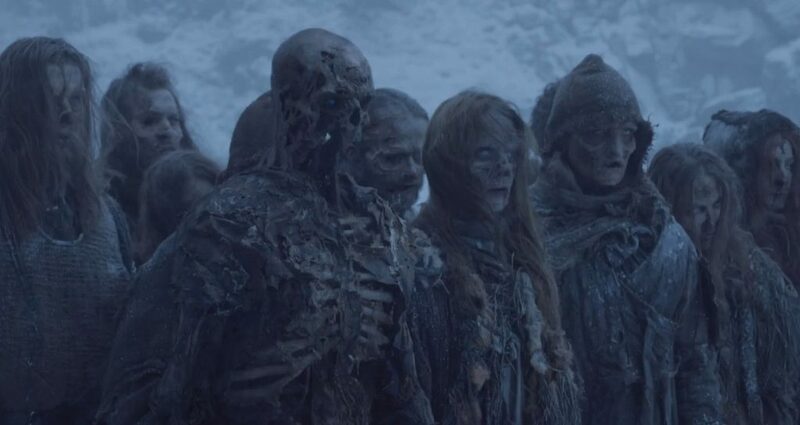 Game of Thrones is approaching its finale. How do you feel concluding such an iconic show, what will you be working on in future? I’ll be sad to say goodbye. When I first signed up for this back in 2011, if you told me I’d still be on it in 2017, I’d say you were crazy! It’s been a good run. It’s a bit like graduating college, moving onto the next chapter of your life. It’ll be a change of pace, but I’m very proud of what we’ve done here. We’ll always use cineSync though. It’s industry standard at this point.